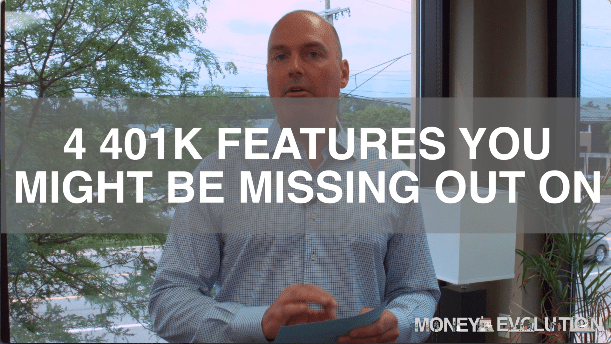 In today’s vlog, I’m going to be talking about Four 401K Features That Could Be Part Of Your Plan That You Might Be Missing Out On. Feature number one is Company Match. 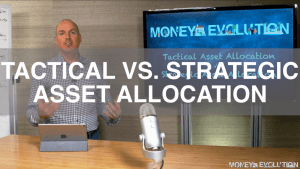 If your company’s offering any sort of a matching contribution on any of the money that you’re putting into the plan, you’re going to want to make sure that you’re taking full advantage of this. I see this all the time where people are either not contributing at all to their 401K plan and completely missing out on the match, or they’re putting money into the 401K plan, but they’re not putting enough in to fully capitalize on that full matching benefit. So, the way I like to look at it is your match is essentially free money your company’s giving you to participate in the plan and so you don’t want to leave that money on the table. You want to make sure that you’re taking advantage of that. Feature number two is something called an In-Service Withdrawal. 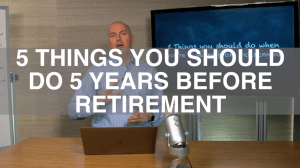 One of the things we talk about here on the blogs is some of the limitations that sometimes are inherent with 401K plans. Some 401K plans have high fees, as an example. Also, Most 401K plans are pretty limited on the investment choices that you can put money into. 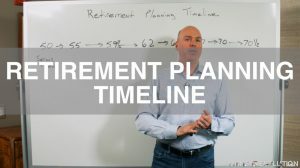 So, an in-service withdrawal is a feature that some 401K plans offer where you can actually take some money out, in some cases, all of your money out of the 401K plan even while you’re still working and still contributing to the plan and this could allow you to move that money over into, say, your own self-directed IRA account where maybe you can have more control over the investment options and choices that you have. 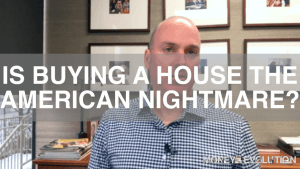 Maybe it could be a way for you to lower some of the costs as well if you’re in one of the high cost 401K plans that we talk about here. Feature number three is something called an After Tax Savings Account. 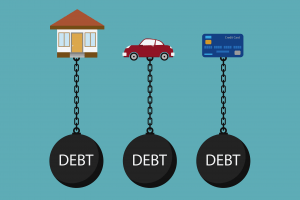 It might be part of your 401K or your company sponsored retirement plans. Now again, not all 401K plans are going to have this, but the after tax savings account is an additional account that you can contribute to and actually go above and beyond the usual 401K contribution limit. 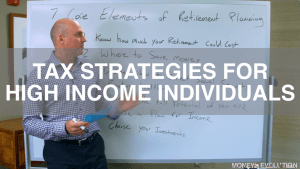 So, as you may know, for 2017 if you’re under 50 you can put in up to $18,000 a year into your 401K and if you’re 50 years old or older that goes up to $24,000 a year, but beyond that, you can put money into an after tax savings account if your company allows it. Now, quite honestly, this was something that I really never paid a lot of attention to and never really gave a lot of thought, that is until a couple of years ago when the IRS made a ruling on a tax law that now allows you to move that after tax savings account directly over into a Roth IRA account without any taxes or penalties whatsoever. So, it’s a way for even those people that may make too much money to contribute to a Roth IRA to get some fairly substantial amounts of money going into those accounts because the total contributions that you can put into your retirement plans at work, that is your contributions, plus any company match, plus any of this after tax, can be as high as $53,000 a year if you’re under 50, and it can be as high as $59,000 a year if you’re over 50. But one of the things you’re going to want to look into is if you decide to participate in this, is you’re going to want to make sure that if you put money into that after tax account that they can be rolled over as part of an in-service withdrawal every year because you’re going to want to move that money into a Roth IRA account where you’ve got a little bit better tax advantages on that. The fourth feature I want to talk about is something called a Self-Directed Brokerage Window and this may go by a couple of different names out there, but we’re finding more and more 401K plans are now offering this feature and it can be a very good one for people that want to do a little bit more of their own homework and a little bit more research in picking the investments. 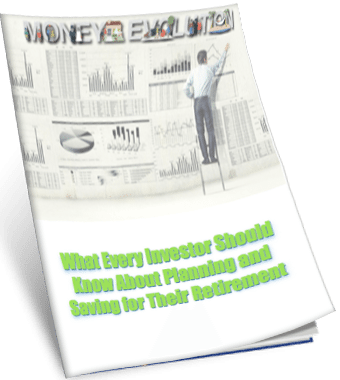 So, again, we talked about the limitations of the investment menu that some of these 401K plans offer. Well, some 401K plans offer, you just set up a self-directed brokerage window within your 401K plan. You can transfer money into that self-directed account and then once you’re in there you may have access to individual stocks. If you want to buy some shares of individual companies, you may be able to buy what are called ETFs, or Exchange Traded Funds, and this is one of the areas that we often talk to our clients about because the ETF universe has really grown and expanded literally to thousands and thousands of choices. 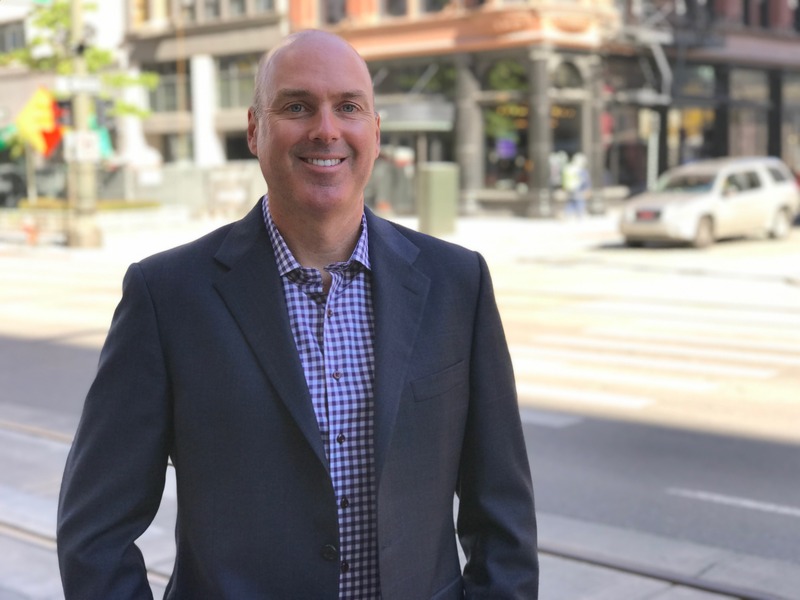 So, if you were looking for an investment option that may not be covered by one of those main investment options on the investment menu, a self-directed brokerage window could be another option for you to do. And again, that money’s still contained within the 401K plan. It’s kind of an account within an account. 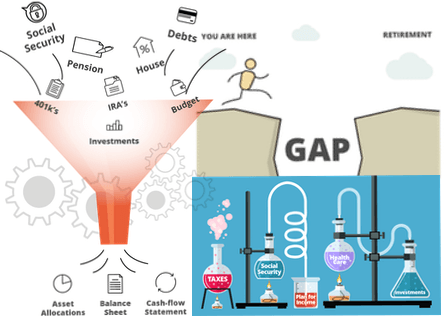 So, again, those are four features that you may not be aware of within your 401K plan. Your 401K may not have some of these features, but if you’re curious about them go ask your HR department or call your plan’s sponsor and ask them what their rules are about it. Of course, we’re available here as well if you want to shoot me an email, a question or give us a call and inquire about how to set up any of these investment options.